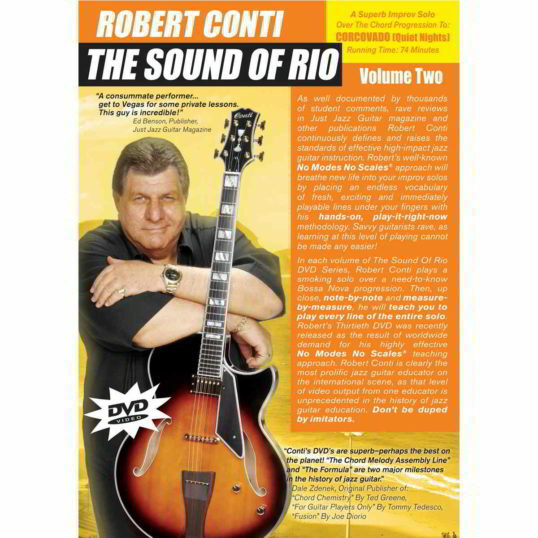 Mr. Conti, I received my first DVD, “Corcovado”, last Monday. I am very impressed with all aspects of the production. It goes without saying that the solo is extraordinary. My son, who is 14 and into metal, rock, etc. came home from a week vacation with his aunt. I asked him to listen to me play the solo with my Band in a Box accompanying me. He said “Dad, I’ve never heard you sound like that. That was amazing!” I can’t wait to pull this solo out at my next jam session. Thank you so much. 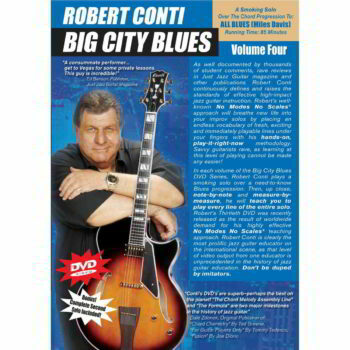 I just ordered “Cherokee” and “12 Bar Blues”. This is the best teaching material out there, and I’ve tried a lot! Bless you for sharing!!! 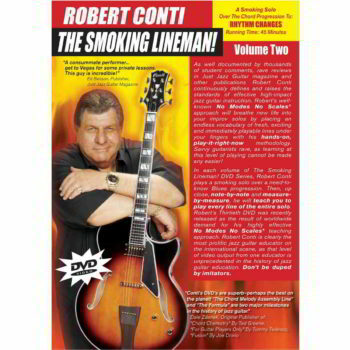 Tell Robert that the DVD is “super excellent”, wow great lines and excellent education! Not only does this solo follow in the Conti tradition of taking key harmonic devices and twisting them around and connecting them in interesting ways, but also, at least at my stage in the process, it introduced me to several new devices, including two diminished ideas that will get a lot of mileage and inspire further experimentation.